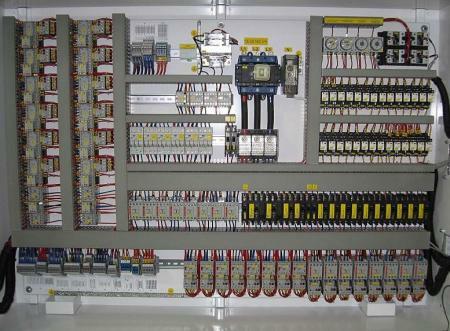 The various items available in our Industrial Control division include: Contactors & Starters, Control Relays, Safety Relays, Disconnect Switches, Human Machine Interface & Touchscreens, I/O Modules, Manual Motor Starters, Networking & Communication, Overload Relays, Programmable Logic Controllers, Sensors, Soft Starters, Relays & Timers and Safety & Signaling. Industrial Control is a general term that encompasses several types of control systems and associated instrumentation used for industrial process control. Such systems can range from a few modular panel-mounted controllers to large interconnected and interactive distributed control systems with many thousands of field connections. All systems receive data received from remote sensors measuring process variables, compare these with desired set points and derive command functions which are used to control a process though the final control elements.